I like many of my neighbours in my village of Innellan made the mistake of accepting assurances that the environment would be cared for when the new sewage installations in front of our houses was installed, also I do not approve of NIMBYism, so I did not protest about the plans. Well, 18 pictures tell their story here. Millions of years of unique geological formations on the Highland Boundary Fault Line were no match for JCBs. What is not clear at this point is who is responsible for what is both permanent damage and potentially remedial damage, whether it is down to Scottish Water's plans, the contractor Biwater Leslie's execution, the monitoring by the Council, failures in communication, or some combination of the above. This posted October 11th 2006 One issue that arose during this whole sorry affair was that the question of the Scottish Environment Protection Agency (Sepa) and whether it could be regarded as independent of the Scottish Executive (Sepa had been brought in to advise on environmental implications of Scottish Water's plans) . The Dunoon Observer reported 1st September; "Answering suspicions that there might might be a conflict of interest in that SEPA and Scottish Water are both funded by the Scottish Executive, Ms Black (Scottish Water Customer Service Director), said: 'Absolutely not'". So was the Dunoon Observer right to raise questions regarding Sepa's independence from the Scottish Executive in the context of the Innellan works ? Professor Miller is right to raise these questions in the context of the Fife case - and "deception" and "appalling subservience" to the Executive are strong charges to make against any watchdog, especially one charged with protecting the public health and safety. Which means it was at least right and legitimate to raise these same questions in the context of the Innellan works. Which raises the question of who watches the watchdog? In the case of Sepa, the answer is quite clear and given in its website. It's the Scottish Executive. This posted September 8th 2006 Scottish Water have won their appeal against their plans being turned down and have started work at Seal Cove, here are pictures of what the area now looks like. Compare this with the pictures of July 15th below. This posted July 15th 2006 Those protesting against the work at the third sewage installtion at Innellan at Seal Cove have sent the enclosed pictures of where the work will be and how near this work is to their homes, particularly when it is noted that the sea wall will be removed to allow a layby to be built for tankers to take away the solid waste to Lochgilphead. This posted July 14th 2006 The Petition against Scottish Water' against the siting of Primary sewerage plants at all three Innellan sites is publicised on the front page of the Dunoon Observer. Campaigners point out that information has been received only in the last week confirming our view that untreated sewage will be discharged into the Clyde. They argue they have approximately until the end of this month to persuade Scottish Water to upgrade their plans for the area to Secondary system whereby no sewage will go into the Clyde. Copies of the Petition can be obtained here and lodged with the local Village Store or the Lido (local newsagent and Post Office) Innellan. 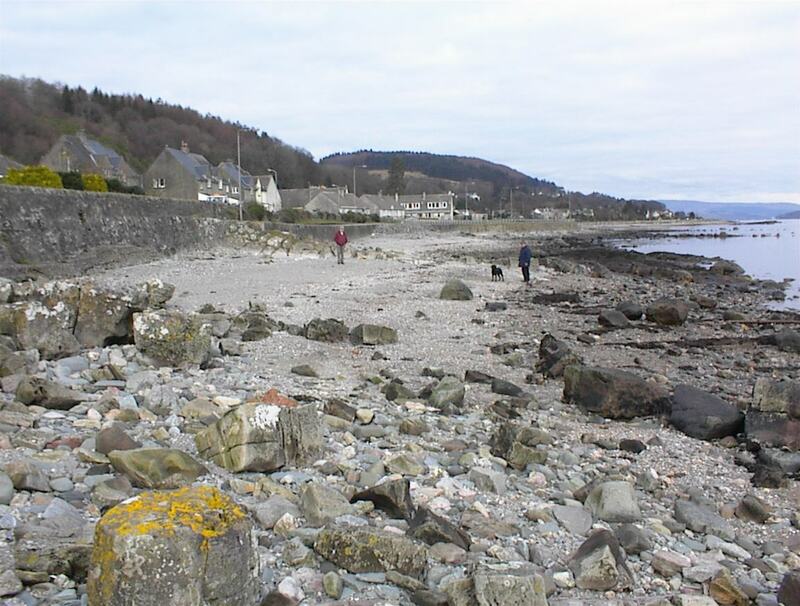 This posted July 12th 2006 Scottish Water's plans for Innellan received a set back on July 4th when Bute and Cowal Area Committee turned down the company's application to use part of the car park at Sandy Beach as a storage area for equipment. Three of the strongest critics of Scottish Water's plans, Jim Donaldson, Jimmy Duncan and Gilbert Pyke have been fighting the water company's plans to use the car park. The full story is in the Dunoon Observer, archived for July 7th 2006 (scroll "news archives" if necessary). This posted January 28th 2006 Scottish Water have won their appeal to permit them to continue the work they have been doing in Innellan. 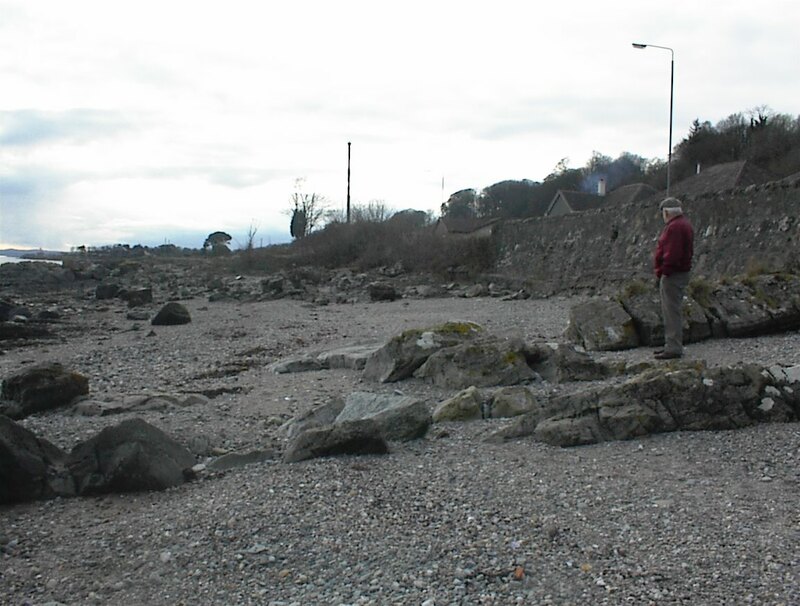 The full text and reactions to the decisions are in the Dunoon Observer 27th January 2006 and can be read here (scroll "news archives" to the headlines for 27th January if necessary), pictures of where the septic tack will go are here looking North and here looking South.